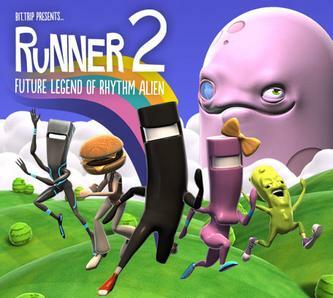 Hi, I’m Daniel, and today I’m talking about a game I liked a lot: “BIT TRIP PRESENTS: Runner 2: Future Legend of Rhythm Alien” (or just “BIT TRIP RUNNER 2”), and the ever­talked­about “The Order 1886”. I’m sorry I have not written for such a long time, but I didn’t find the time. Hope I write more from now on. This platform game is a must­play if you are keen of platform games. But you should play this game over all if you like, apart from platform game, good music and rhythm. The main point of the game is very interesting, yet catching: there is not music in the sole game but the base; the music plays with your actions (like jumping over an obstacle, or picking one pile of gold), every one of which plays a different musical note each time you perform them. The result is a pretty exotic music, which may become repetitive, but varies in each world, so you won’t get tired of it. I also want to point out the difficulty of this game. This game is hard by itself, but more if you want to complete it at 100%. You’d better be very good at platform games, or you will suffer! Anyway, it is good fun to play (sometimes frustrating, but fun to play after all), no matter you want to complete it at full or not. • The music, the main characteristic of this game, is awesome. • Quite long from the beginning to the end. • If you only want to jump ans dodge (not kill or fight) in a platform game, this is your game. • If you like difficult and challenging games, you will like this game; if not, you might not enjoy it. • May seem rather simple and repetitive sometimes. The Order 1886 has been the most controversial game lately. This game, the first important exclusive of Play Station 4, has a lot of potential, but it has been a disappointment. The game is gorgeous, and so it seems to be good at the beginning… but then a cinematic play… and then another cinematic plays… and then another… and another… The game is a lot about the visual, but almost nothing about the gameplay. A lot of quick time events; corridors; and simple brawls, where you have to shoot things and then you go on… It feels more like a film than like a game. But a film lasts 2 hours; The Order 1886, 7­8 hours in normal difficulty. The visual aspect is remarkable though. Yet the graphic engine has been made by the developers, it is absolutely magnificent. The game has a very well achieved atmosphere, and the illumination just makes it feel real. But again, these aspects are vain, empty, just because all the effort that has been made on making the game so outstanding at its graphics, is an effort that lacks on developing solid gameplay mechanics. Hope you enjoyed the article, and hope I write another sooner than after!